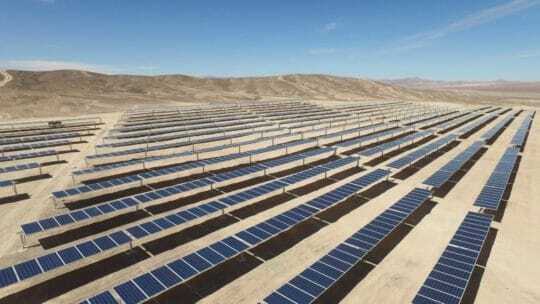 Equally owned by EDF Energies Nouvelles, and Marubeni, its Japanese partner, the Bolero solar plant (146 MWc of installed capacity) is the most powerful solar plant commissioned by the EDF Group to date. The plant is capable of supplying 191 000 Chilean households with electricity every year while cutting down on CO2 emissions by 380 000 tons. Comprising 475 000 photovoltaic modules fitted with solar trackers, the Boléro solar plant covers an area of more than 500 hectares, tantamount to more than 700 football fields. 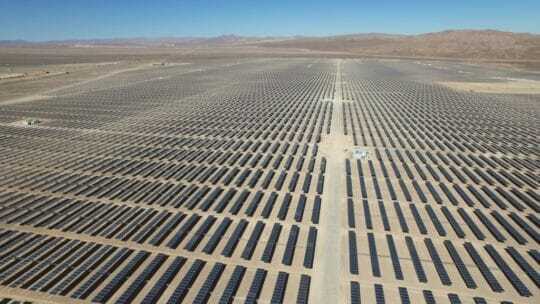 Located in the Atacama Desert, it receives some of the highest solar energy levels in the world. A local subsidiary of EDF Energies Nouvelles, EDF EN Chile launched the project in 2015. The project will boost the local economy, employing an average of 280 people during the construction phase and around twenty people throughout the plant’s service life. EDF Renewable Services is in charge of its operation and maintenance.